Batman: Return of the Caped Crusaders! 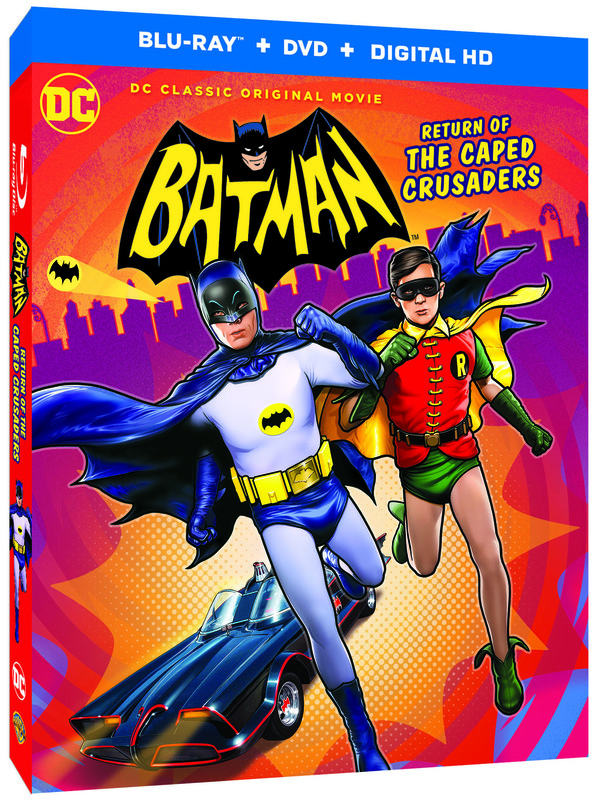 Batman: Return of the Caped Crusaders will be available on Digital HD starting October 11, 2016. It will be available for streaming and download in high definition and standard definition on select digital retailers including Amazon, CinemaNow, Flixster, iTunes, PlayStation, Vudu, Xbox and others. The film will then be available on Blu-ray Combo Pack ($24.98 SRP) and DVD ($19.98 SRP) on November 1, 2016. Order due date is September 27, 2016. Rick Morales (LEGO DC Comics Super Heroes – Justice League: Cosmic Clash) directs from a script by Michael Jelenic (Teen Titans Go!) and James Tucker (Justice League vs. Teen Titans). Tucker and Jelenic also serve as Supervising Producer and Producer, respectively. Executive producers include Sam Register, Benjamin Melniker and Michael Uslan.